President Trump said on Wednesday that he had “essentially” fired Defense Secretary Jim Mattis last month because he was dissatisfied with the retired Marine general’s performance in the top civilian job at the Pentagon. Mr. Mattis resigned on Dec. 20 after failing to persuade Mr. Trump to change his mind about withdrawing the 2,000 American troops now in Syria. Mr. Mattis said he planned to remain at the Pentagon through February to allow for an orderly transition. But after his letter received intense media coverage, Mr. Trump abruptly ordered him to leave the job as of Jan. 1. Mr. Trump’s latest broadside against Mr. Mattis came at a Cabinet meeting that turned into an extended question-and-answer session with reporters. 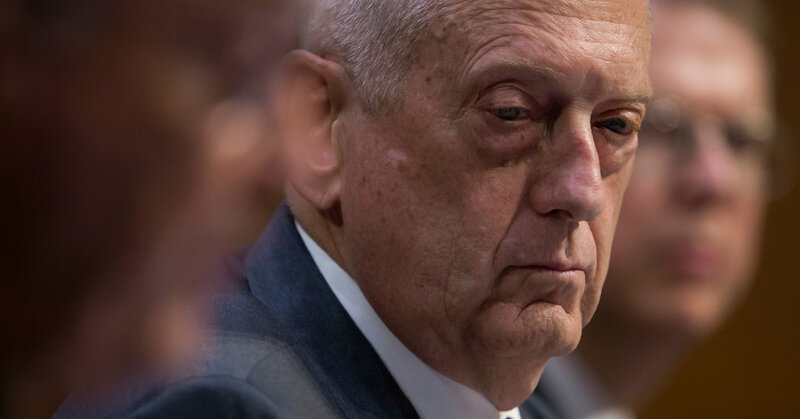 He went on: “As you know, President Obama fired him, and essentially so did I.” Mr. Mattis served as commander of the military’s Central Command under Mr. Obama, but retired a few months earlier than expected in 2013 after repeatedly clashing with Mr. Obama’s national security team over policy in the region, especially regarding Iran. Mr. Trump praised himself for providing money for soldiers in Afghanistan, and said that Mr. Mattis was “thrilled” when it happened. April 14, 2018 Comments Off on Some Said They’d Flee Trump’s America. These People Actually Did.